Designed to hold you in place safely and securely when your factory seat belts do not. 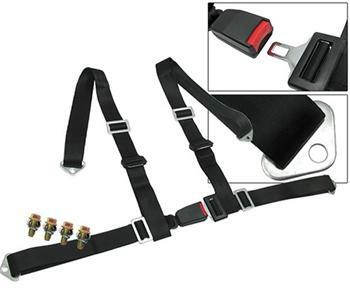 4 point seat belt harness allows driver to put on/off the seat belt faster which is ideal for driver who uses his or her car as a daily driver. 2” High Quality Heavy Duty Reinforced Nylon Straps, Simple snap-in single step buckle!